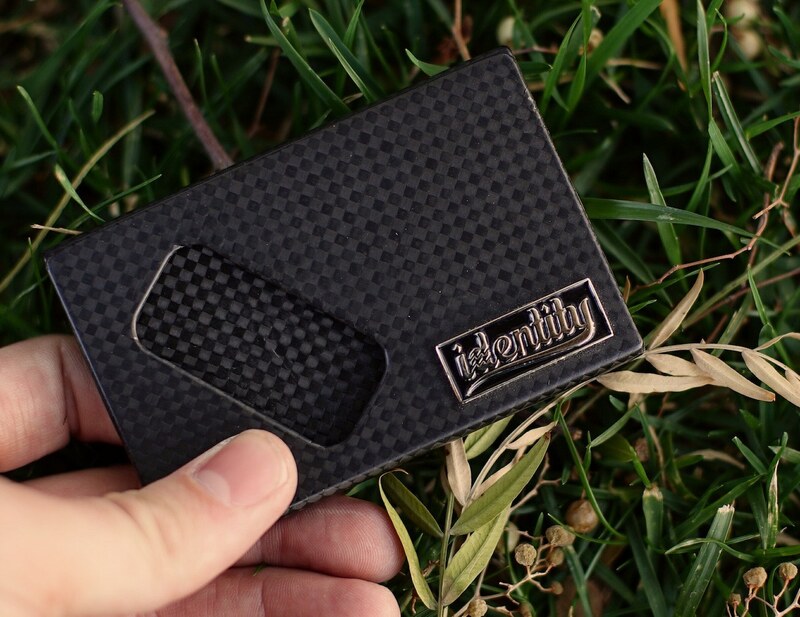 The IDENTITY Card Wallet is constructed from aerospace grade carbon fiber providing a low profile, lightweight and durable design. 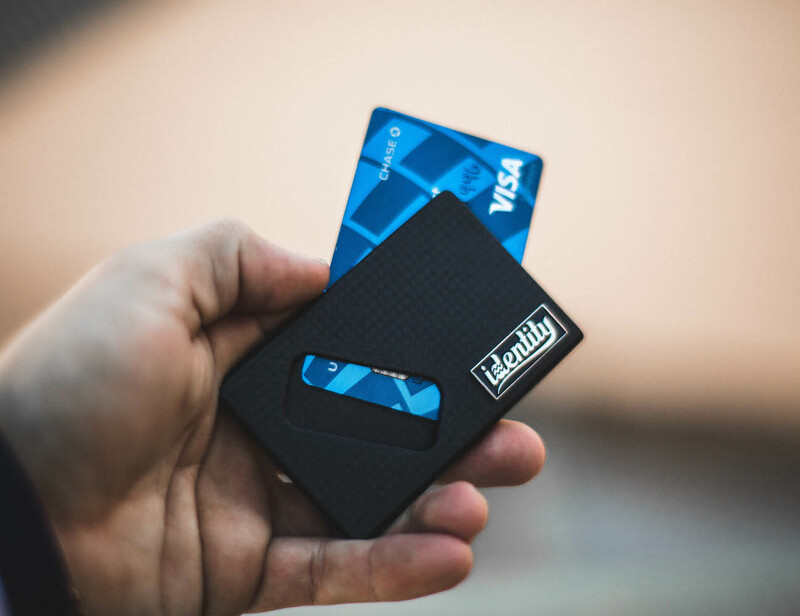 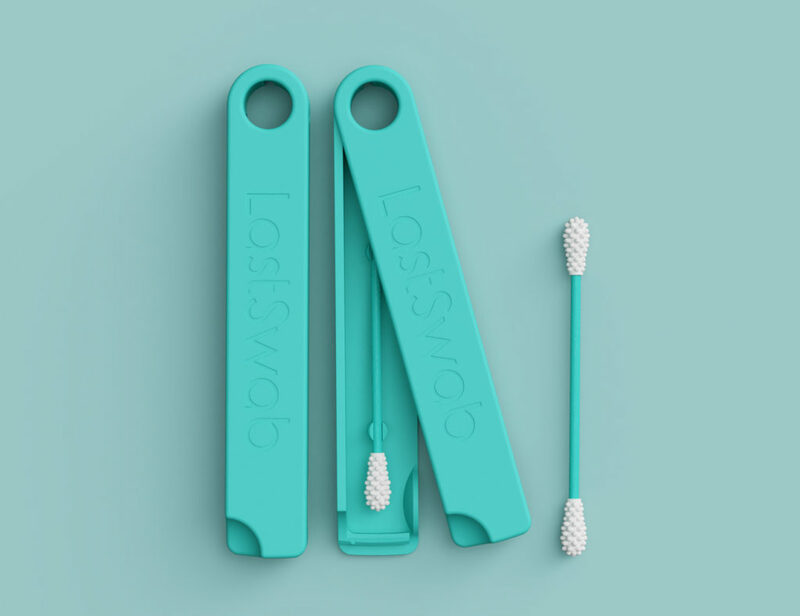 The cut outs in the face provide easy access to the wallets contents with just a swipe of the finger. 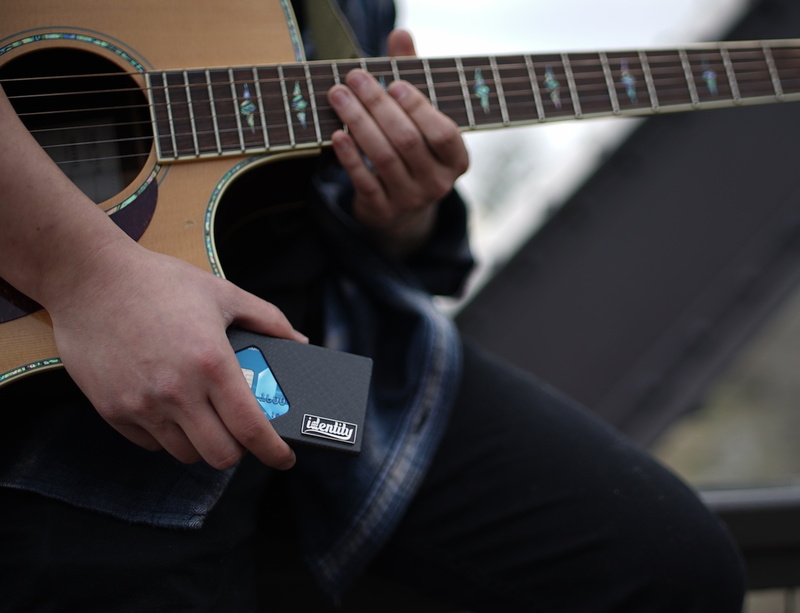 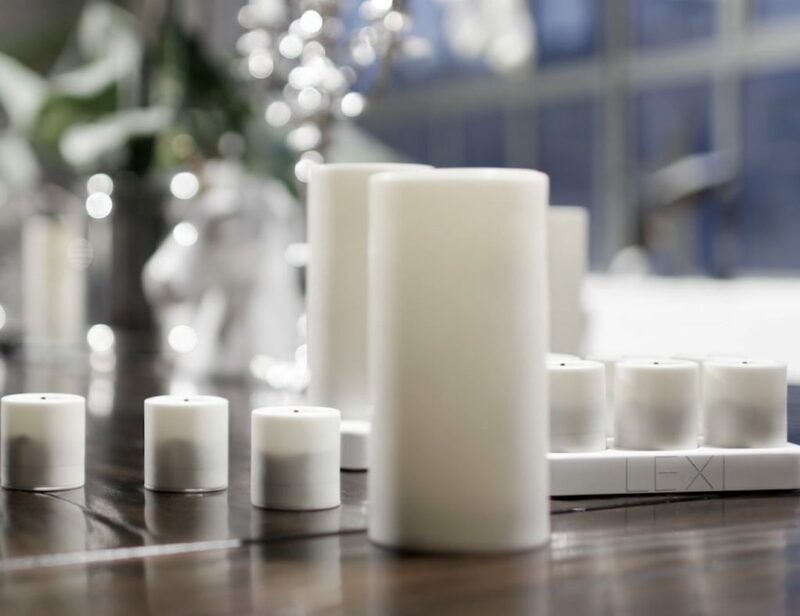 The proprietary “z” design allows users to hold one card or up to 8 cards (4 on either side) securely. 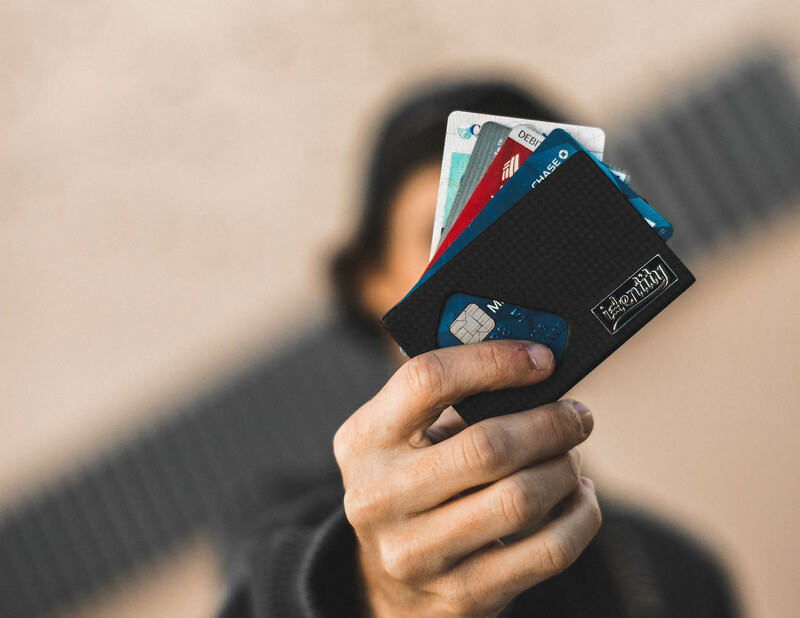 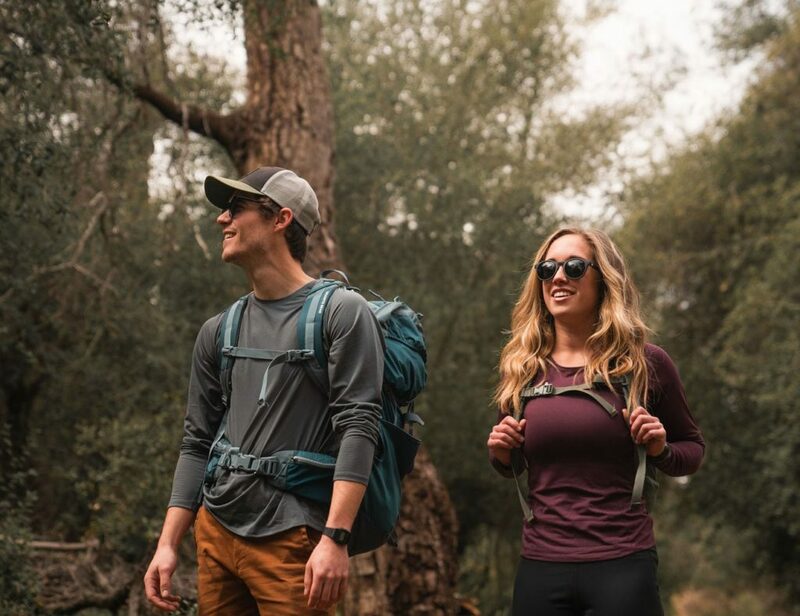 What makes this wallet a comfortable everyday carry is the fact that it is super light and durable. 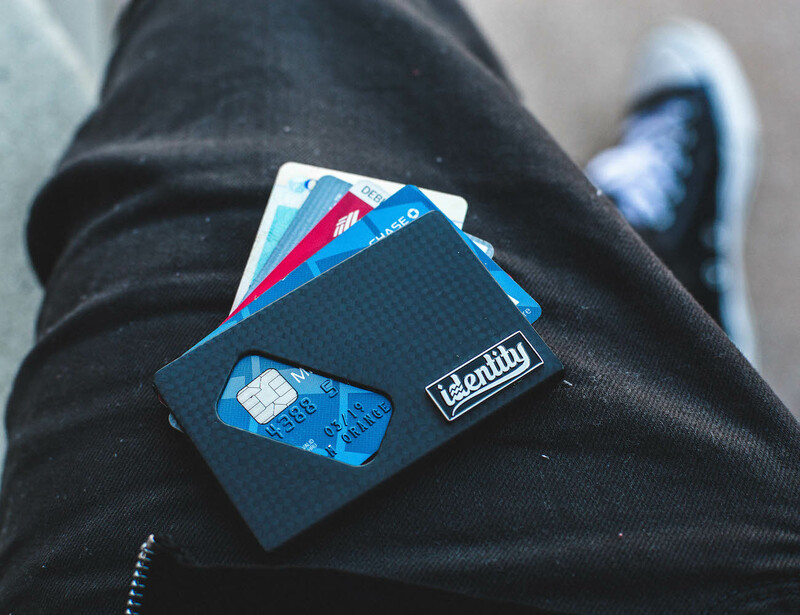 The purpose was to come up with a wallet design that would be minimal enough to avoid the pocket bulge but will not let you compromise with the total number of cards you could carry at one time. 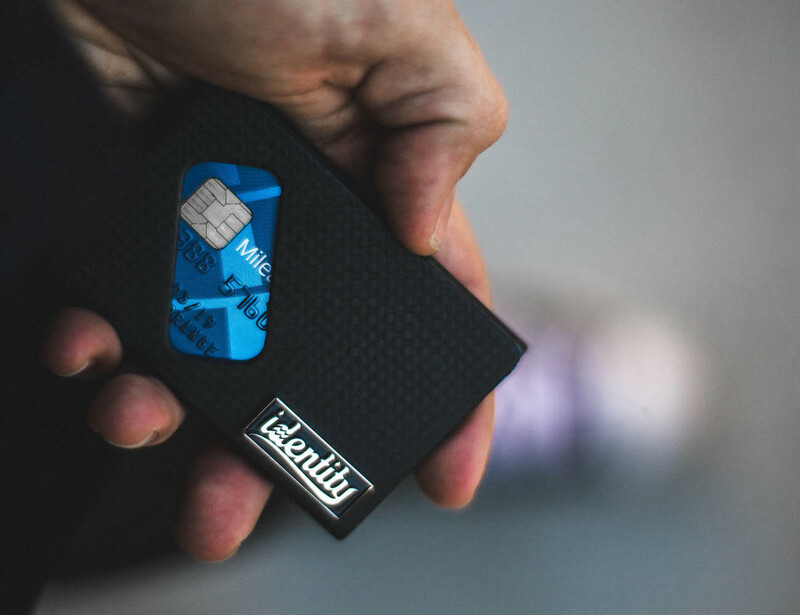 It’s a wallet you would like to treasure for years!